If you’re searching for the perfect rowing machine for less than $200, check out the Stamina Body Trac Glider 1050 Rowing Machine. 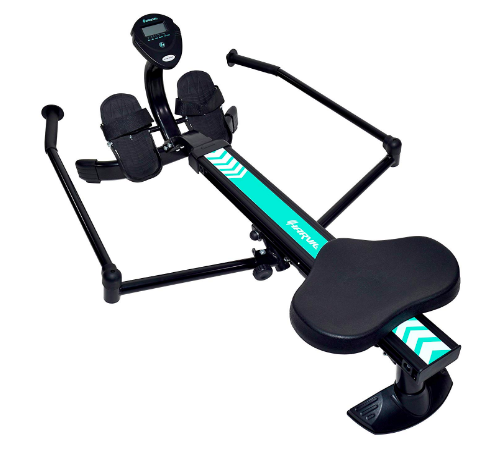 This rower has fully articulated arms for full range of motion, an LCD monitor to track and manage activity, a host of adjustable components, and a whole lot more. 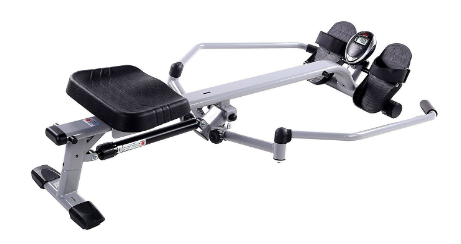 For resistance, the Stamina Body Trac Glider 1050 Rowing Machine relies on a hydraulic piston. 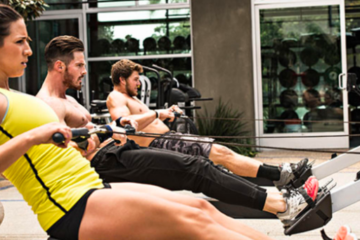 When it comes to a full body workout, there’s nothing quite like a rowing machine. These simple fitness tools hit just about every major muscle group in your body as you extend and withdraw your body. Keep reading for a quick look at four of the best affordable rowing machines–all available for under $200. An articulated arm design provides a realistic rowing experience. And a LCD monitor helps users track and monitor activity including time, calories, and other features. Though it doesn’t fold up, one of the best features of this rower is its compact, easily stored design. At just 58 inches long and 48 inches wide, this rowing machine will comfortably fit in most storage spaces. If you’re looking for a simple, no-nonsense rowing machine that’s easy on the wallet, check out the Sunny Health & Fitness SF-RW1205. 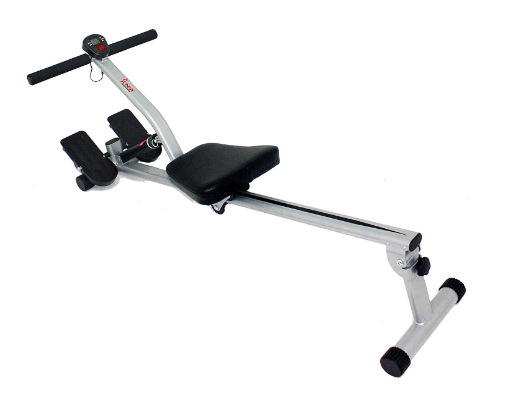 This rower employs a single piston for resistance with 12 levels of adjustment. The rowing motion comes from a handle that acts as a lever against the piston rather than spinning a fan or pulling a set of two handles. This mechanism makes this Sunny Health & Fitness rower super simple and affordable. Users do also get an electronic monitor that displays time, count, calories burned, and more. A padded seat and handle, along with non-slip pedals, make this rower comfortable and safe to use. The Harvil Hydraulic Rowing Machine is another great choice for anyone looking for an affordable rowing machine. This rower is constructed with an all steel frame and can support users up to 285 pounds. Resistance comes from an adjustable hydraulic piston. At just 50 inches long, this machine is surprisingly short, although it cannot be folded for storage. An LCD monitors allows users to track their progress with readouts for important metrics like distance, calories burned, and count. Like many other rowers in this category, the Harvil Hydraulic Rowing Machine has a padded, molded seat along with pivoting foot rests. Articulated rowing arms ensure that users of all sizes can comfortably use the machine. 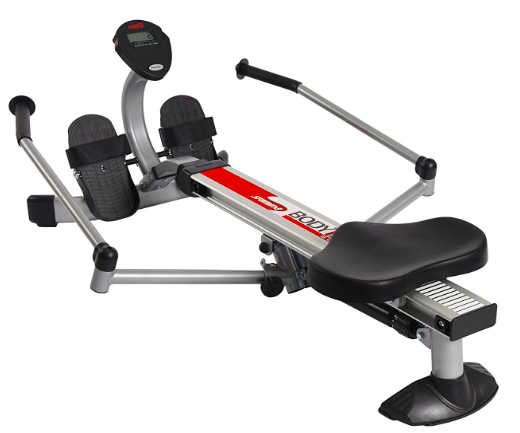 One of the best rowing machines in this price range is the Sunny Health & Fitness SF-RW5639. This machine stands out with its long, full motion range arms. These arms provide for full range of motion–even for those with longer arms. 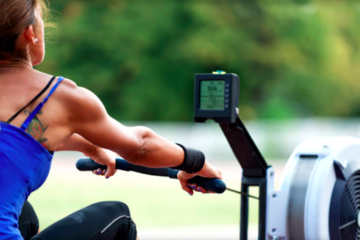 With so many great low-cost rowing machines out there, picking one can be a challenge. While any of the rowers in this list will serve the needs of most fitness enthusiasts and those just trying to lose a few pounds well, the best option is the Stamina Body Trac Glider 1050 Rowing Machine. This rowing machine is well built with a steel frame and lots of adjustability and, due to its compact size, is easy to store. Resistance come from an adjustable hydraulic piston. And rowers of all sizes will find the rowing arms to be a comfortable length. If you’re in the market for a low cost rowing machine, check out the Stamina Body Trac Glider 1050 Rowing Machine.